Hi, I’m Jenni, I’m married to Jez and we have a little boy, Ben, born in November 2012. I can honestly say that becoming a mum has been the most challenging yet amazing experience of my life! I was born and brought up in the Bradford area and I’m excited to bring BabyNatal classes to this region. Pregnancy and life with a baby is such an amazing time which seems to go by so quickly, and I’d love to help make those months as easy and enjoyable for you as I can. My aim is to ensure you find out everything you want to know about caring for a newborn, so that you leave feeling confident, empowered with the right information and know you can trust in your own instinct and ability to care for your baby. No two babies are the same, so rather than tell you how to bring up your baby, I will offer information and advice in a relaxed, informal and fun environment (with plenty of chocolate!) so that you can make the right choices for you and your family. I offer either the chance to come along to a group workshop with the chance to meet other parents @ Mothercare Leeds; or if you’d prefer, I can come to your home for a private class for you and your partner/friends/family. • 4x venues to choose from! • These 2hr workshops are specially designed to be held at your home, on a date and time convenient to you. You choose the day and I will bring the course to you! • Up to 12 people can attend the class – perfect if you want to include other members of your family/baby’s carers, or if you want to get together with your antenatal group. I will help you prepare for life with 2 or more babies, talking you through all your choices, options and techniques to try when your hands are full! 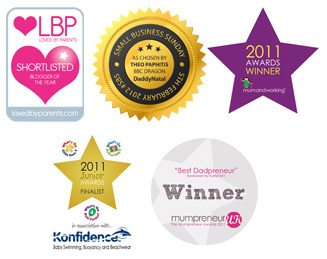 £75 per couple for a 3hr class – covering all aspects of Practical Baby Care for Twins. • Payment by bank transfer, PayPal or cheque in advance of the class to secure your place.